Having a big Master Chef-style kitchen would be amazing, but if you live in an urban environment like Sydney or London, with expensive square footage, you know you must settle for a tiny kitchen. But, small kitchens have their charm as well. They are cheap, space-saving and very efficient with everything you need being right at hand. However, they can also look cluttered and less aesthetically pleasing, which can ruin the entire vibe of your home. 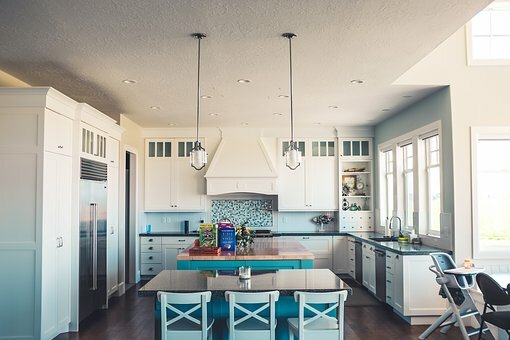 Luckily, here are a few renovation tips that will not only make your kitchen look gorgeous, but also boost its practicality even more. Sure, dark and bold colors are a huge hit right now, but make sure to save them for some other room in your house. If you have a tiny kitchen, it’s always better to make things light, bright and airy with popcorn white, soft gray or white gray. Add a few smaller bold elements for contrast (deep navy is white’s best friend) and you’ll get a stylish yet light look that reflects plenty of light. We’ve all seen those huge double sinks, but most of us don’t need that much sink space. If you have a small kitchen, it’s best to shrink your sink and free up some space for food prep and cooking appliances. Do you have that unusable corner? Well, there are corner sinks that will fit right in and open up a whole world of opportunities. For instance, the average Australian kitchen counts only 13 square meters, which means storage is a big problem. If you try to increase storage, you will lose counter space and vice versa—it’s a lose-lose situation. However, today there are smart and creative solutions for storage like filler cabinets with sliders. These are only 10 to 15 cm wide but can store a variety of baking pans, spices, utensils and other items. If you think you would benefit from a similar setup, call an experienced handyman from Sunshine Coast and ask for a kitchen inspection. Experts know exactly what kind of cabinets you need and can provide you with a quick and fuss-free installation. Many interior designers also recommend installing cabinets that reach all the way to the ceiling, so check out with your handyman and try that option to boost your space. Add some “negative space” to your kitchen with glass. See-through objects enhance the feeling of space and create an illusion of largeness. So, think glass tabletop, counter or cabinet doors. Glass kitchen doors that open up outdoors are also a great addition. Small kitchens don’t have a lot of space to be wasted on decoration, so when you see an opportunity to play with décor, make sure to use it. A backsplash is a perfect way to add some personality and life to your kitchen. Even though your surface might be small, you can make it stand out with some limestone, mirrors, tile mosaic or antique tin tiles. This advice might sound contradictory, but large tiles will make your space look bigger. Tiny floor tiles might look busy and cluttered, while large profiles open up the space and make it feel airy and large. If you have the chance, opt for something bigger than the standard 30x30-cm tiles. For instance, large 45x45-cm tiles in white or light gray will look amazing in any small kitchen and create an elegant and streamlined look. You don’t have to move houses or start from scratch with your kitchen design in order to improve the look of your space. A few designer tricks will open up your space, provide it with character and make it handy and perfect for your future cooking adventures.